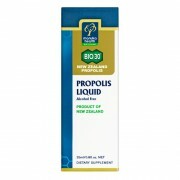 ﻿ BIO30 New Zealand Propolis Liquid 25ml | Manuka honey - natural dietary supplement! 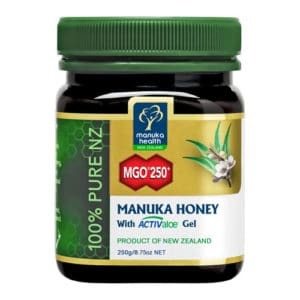 Manuka Health BIO30™ New Zealand Propolis Liquid has particularly high levels of unique bioactive components with potent antibacterial, antiviral, antifungal and anti-inflammatory properties. This product is alcohol free. Propolis is known as nature’s antibiotic, with powerful antioxidant, anti-inflammatory, anti-bacterial, anti-viral and anti-fungal properties while providing powerful support to the immune system. 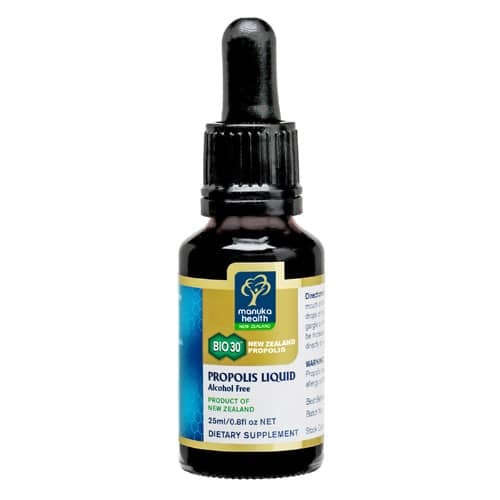 DIRECTIONS FOR USE: Take directly from dropper or mix 4-6 drops in water, up to 3 times daily. 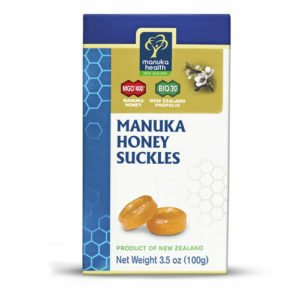 Can also be used as a mouth and throat gargle.